Cravings are going to happen and they happen more than I care to admit. But at least the most recent craving was for something that isn’t too decadent. 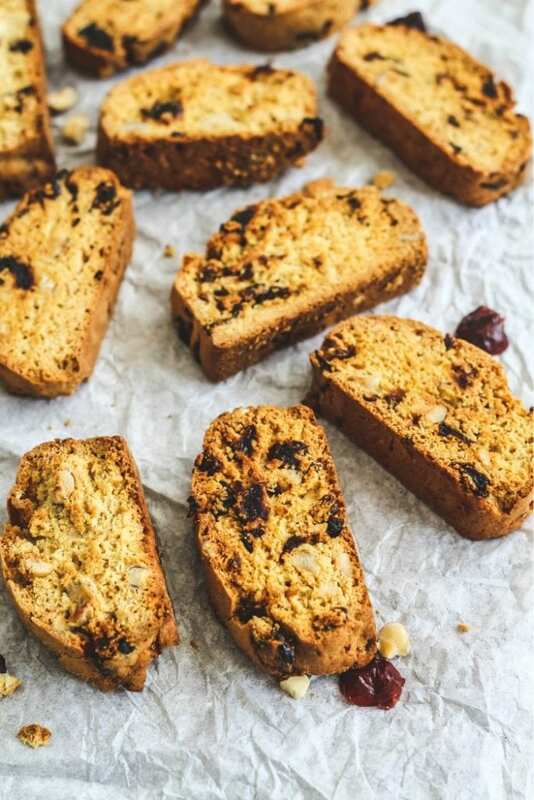 These lovely Hazelnut and Dried Cherry Biscotti are what I had been dreaming about for days. It happened when I found a bag of dried cherries and also my hazelnuts that were never used this past Christmas. These were cookies that were supposed to be made and given to friends as a gift. Of course I had every intention of creating perfect cookie boxes for everyone that is dear to my heart and the reality is it never happened. But happiness and love was still shared as my neighbors each got a batch of these delightful biscotti. They didn’t care that it wasn’t Christmas! I’m feeling a little bit of blogger’s guilt for sharing two desserts in a row. 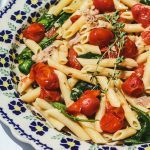 I had intended to share a fresh pasta recipe with all of you. But since I had biscotti on my mind, here we are with the biscotti! It seems I always have some sort of biscotti on my mind. Since they aren’t as decadent as most cookies you would see they could be considered a little safer to eat. 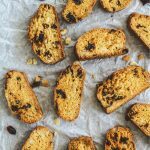 These biscotti are the perfect treat to get you through the afternoon with a hot cup of coffee or tea. 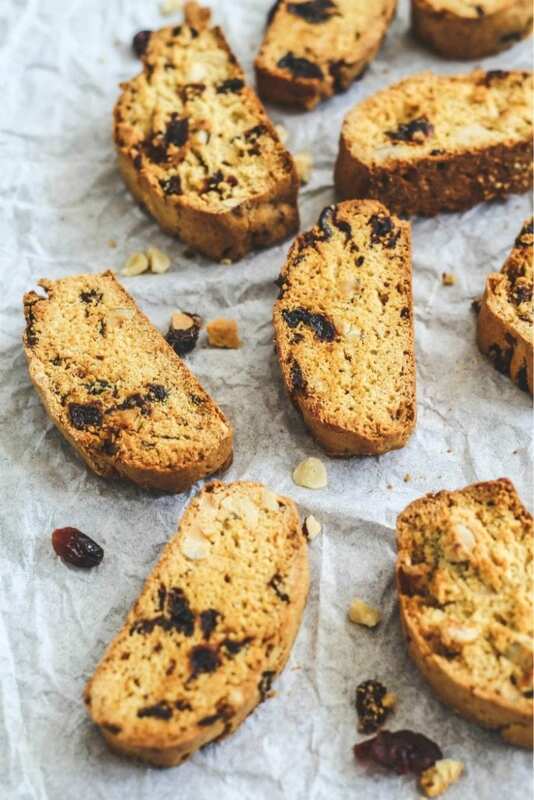 It seems that winter is just dragging on for most of the world and these biscotti are just what you need to help you through a cold afternoon. As soon as the biscotti were finished baking my mother delcared, “These are what you call dunkable biscotti!” So there you have it! These are dunkable biscotti!! Biscotti are very traditional Italian cookies. You’ll find that the classic biscotti cookies always dry and crisp, which make them quite perfect for dipping in your hot coffee, latte or tea. In Italian, biscotti means twice baked (bis: twice, cotto: cooked, past participle of couch, ‘to cook’). The dough is first shaped into the logs (two for this particular recipe). 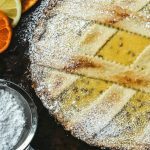 When the log cools, it is sliced on a diagonal and the cookies get baked a second round until they are the perfect crispiness. Some classic biscotti flavors are almond, anise and vanilla. HOW LONG WILL BISCOTTI LAST? Once the biscotti have come to room temperature, store them in a an airtight container. They should fresh for 1-2 weeks in the container. You could also wrap the biscotti and place them in a zip lock plastic back and they will store for up to 3 months in the freezer. 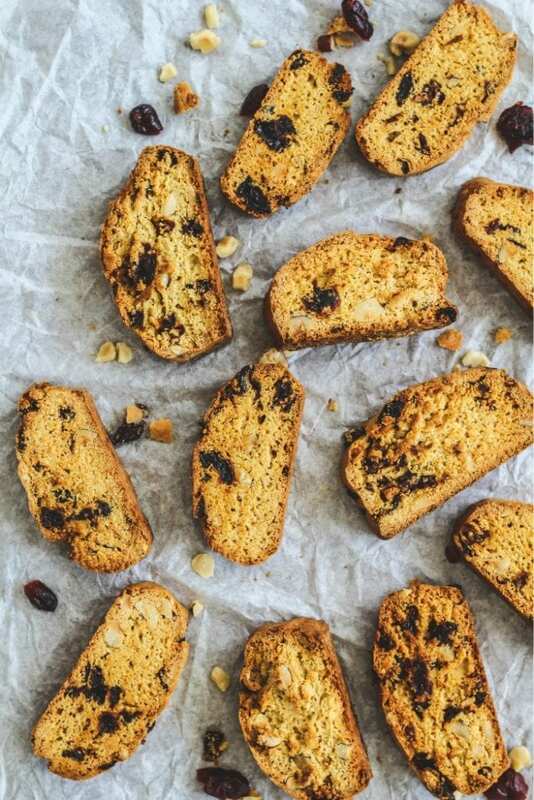 HOW TO MAKE MINI BISCOTTI? To make small biscotti, shape the dough into 4 logs instead of two. The smaller logs will require less baking time so be sure to check them at about 15 minutes. 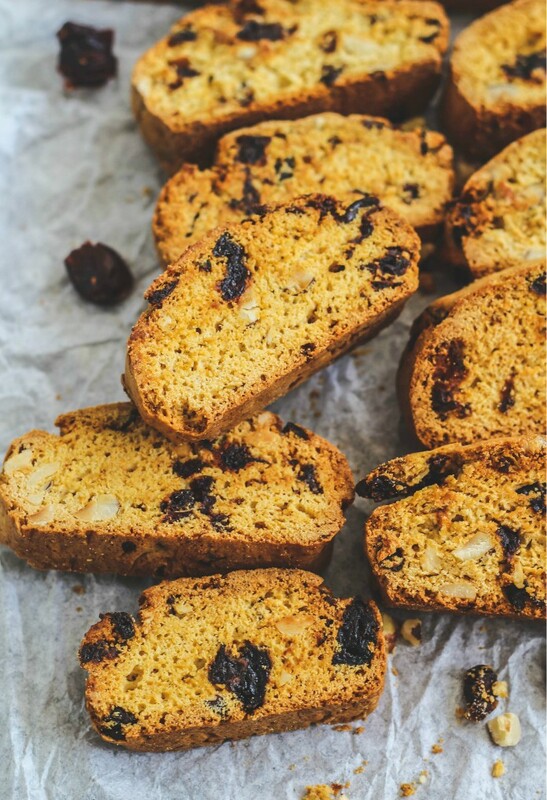 Italian Hazelnut and Dried Cherry Biscotti are the perfect treat to enjoy any time of the day! Filled with tart dried cherries and hazelnuts these delightful cookies are perfect for dunking in your latte on your coffee break. 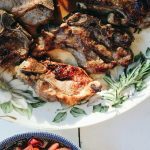 Preheat the oven to 325ºF. Position a rack in the center of the oven. In a medium bowl, combine the flour, baking powder and cinnamon and mix thoroughly. In a large bowl with an electric mixer, beat the brown sugar, butter, eggs, salt, and vanilla for 2 to 3 minutes, until thick and pale. Add the flour mixture a little bit at a time. Add in the hazelnut and dried cherries and mix on medium-low speed until all the ingredients are moistened. Use a spatula to scrape out the dough onto a lined cookie sheet (I used a sheet for each log) and divide the dough in half (or do one log to make marge larger biscotti). Spray hands with cooking spray; form each piece of dough into a 2 1/2-inch-wide log. Bake until dough is firm but gives slightly when pressed, about 20-25 minutes. Let the logs cool for at least 15 minutes and then reduce oven temperature to 300 degrees. Carefully place the loaves on a cutting board. 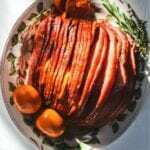 Using a long serrated knife, cut each log on the diagonal into 1/2-inch-thick slices; place slices, cut side up, on sheet. Bake 7 minutes, flip biscotti, and bake 7 minutes more (it may only take 5 minutes on each side, every oven is different).